Although travelling in a group can be a greatly pleasurable experience, it only requires the showing of inappropriate behaviour or an unacceptable attitude of just one person to spoil the experience for everyone in the travel party. Accepting that each individual has an important part to play, and contribution to make to the shared experience, will help ensure that the group travel memories you bring home are happy ones. 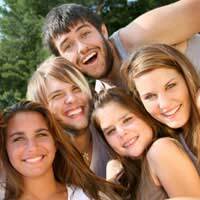 When travelling as part of a group there will generally be a common goal or interest that unites everyone. This could be a hobby, sport, cultural event or other reason that benefits from group participation. It could also however, be simply because travelling together is the safest and most economical option. Group travel requires that you put aside your personal needs so that you can consider the needs of others, and it is when this is ignored, and inconsiderate behaviour takes over, that individuals become less inclined to feel part of a group. Although group travel can be an enjoyable experience, which can broaden an individual’s personal horizon, it can also be restrictive. Travelling in a group has many limitations, including maintaining good time keeping, making an effort with socialising, and lending a hand when you may not naturally feel inclined to do so. Group travel also requires that all members of the group should be willing to make a positive contribution to the shared experience in some way. A multi-stop travel break will also have a time restriction at each stop-off point, limiting the amount of time spent at each destination. Whilst this cannot generally be avoided maintaining a good mood and cheerful outlook will ensure your personal contribution to the group will remain positive. It is important to show courtesy, at all times, to the person in charge of leading your group. This could be a tour co-ordinator, host, driver or other advisor. Without the services of this person the group excursion may not be able to take place, therefore maintaining a helpful disposition at all times is advisable. Remember also to express thanks for your travel guide’s advice and helpful service. Also respect the environment and ensure you do not drop litter or behave in a manner which is disrespectful. Do use your sense of humour to diffuse unnecessary tension between group members. Sometimes silly misunderstandings escalate through the inability to see the situation from the funny side, although it is important to assess the situation correctly before attempting to make light. Always treat other people with respect, courtesy and thoughtfulness. Treating other people how you would wish to be treated will ensure that you receive the same courteous behaviour as you are giving out. Aim to never offend, bore or intrude in anyone’s personal space. Maintaining high personal hygiene standards should be a top priority at all times, but more so when travelling as part of a group. Making other people feel uncomfortable because of poor hygiene will not win any traveller new friends. Don’t compound problems by moaning, complaining and having your say. When part of a group aim to act like one at all times.